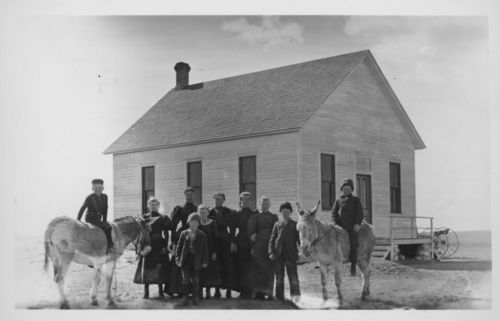 This black and white photograph shows a group of students with their teacher in front of a one-room schoolhouse in Greeley County, Kansas. Two of the children are informally posed with their respective mules. For many students, during the 1880s and the 1910s, the commute to school consisted of walking or riding a livestock animal.